Why is a healthy breakfast important for both moms and growing kids? Breakfast, literally in the word, it is the meal that helps break our overnight fast during sleeping and helps us kick start our day. For such an important meal, it is crucial that we ensure that our breakfasts are healthy and nutritious. A healthy breakfast is important to provide us with the energy to start our day. It also helps provide us with many important nutrients that we may be deficient in if we skip it. For our little ones, it has been found to be directly related to their school performance and gives them the nutrients their growing brains need. However, it goes beyond that and can influence our and our children’s future risk for cardiovascular disease as it has been related to total cholesterol levels and obesity! 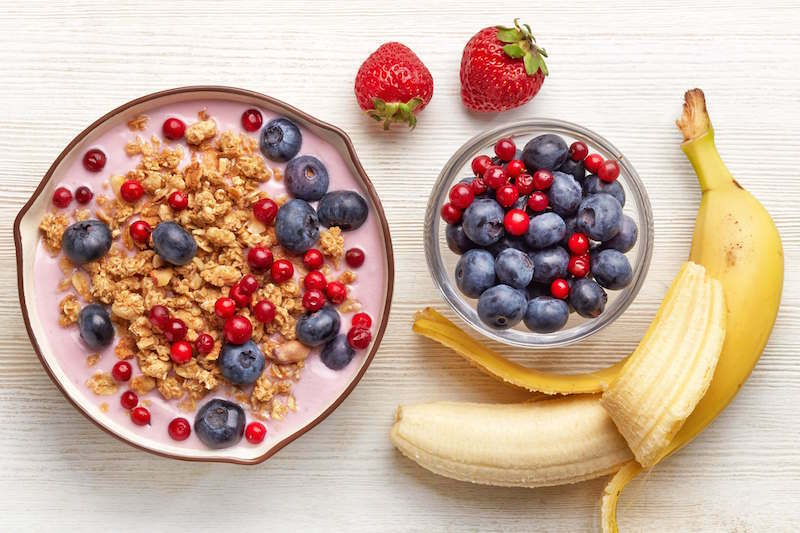 Healthy breakfasts have a large impact on our health and ensuring a balance breakfast will give us the best start to our day. 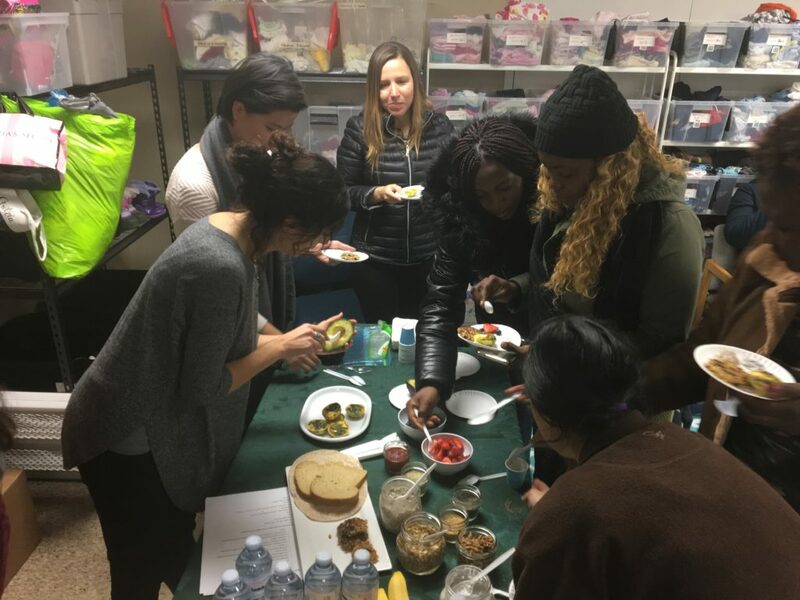 New Mom Project presents the second of the four-part workshop series: Healthy Breakfast, where the importance of healthy breakfast and healthy breakfast ideas were shared with new mothers. Our goal as an organization is to promote health and well-being to the members of our community, particularly to families in need. 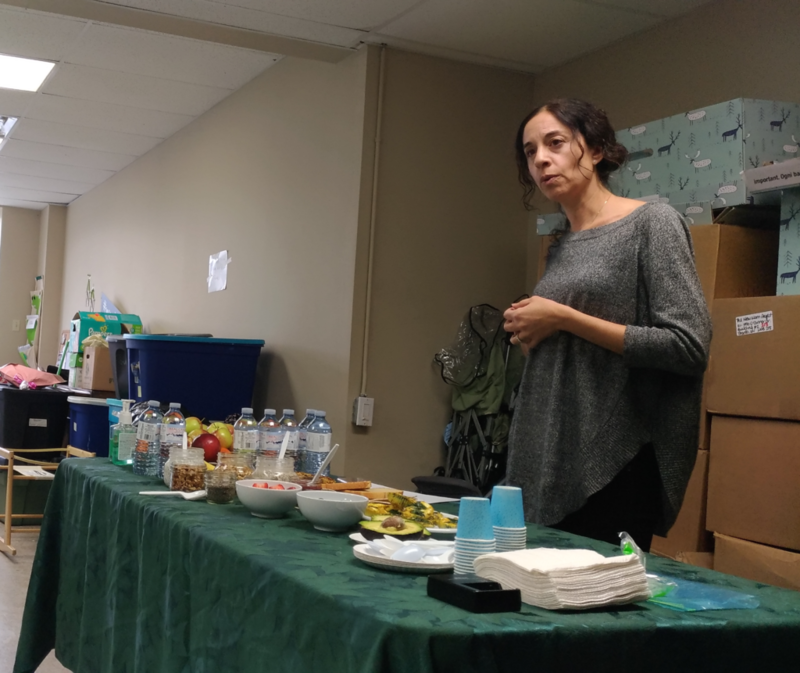 This workshop has helped parents provide quick, affordable and healthy breakfast to their children and themselves through tips and education provided by our guest speaker, Linda Tommasino, who is a professional certified nutritionist. 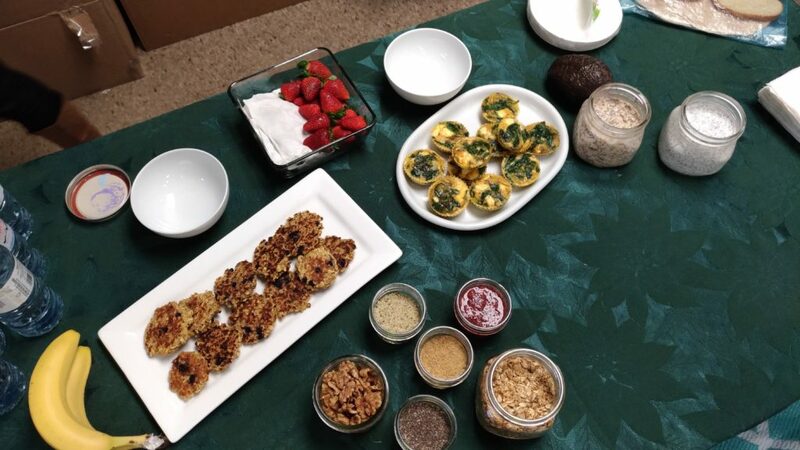 From left: Linda Tommasino (Certified Nutritionist), variety of healthy breakfast options Linda brought to sample. We were grateful to have Linda Tommasino, certified nutritionist, for an informative and helpful seminar held on November 2, 2017. She has shared these tips for a healthy and balanced breakfast. A balanced breakfast has a combination of carbohydrates, fats, proteins and fiber. When reading the label, the first ingredient should be whole grain wheat, not enriched wheat or flour. Combine as many components as possible for a balanced breakfast! Some examples include: whole grain wrap with nut butter and fruit. Good nutrition is important for all ages, it not only helps you feel your best every day, but helps prevent heart disease, diabetes, osteoporosis and some types of cancer. Please consult your health care professional about what vitamins are appropriate for you. Also require more calories, include an extra 2-3 Food Guide servings each day. For example, having a fruit or yoghurt for snack or an extra slice of toast at breakfast! Children learn from their parents, help be good role models for eating. “Awesome” – New Mom A. 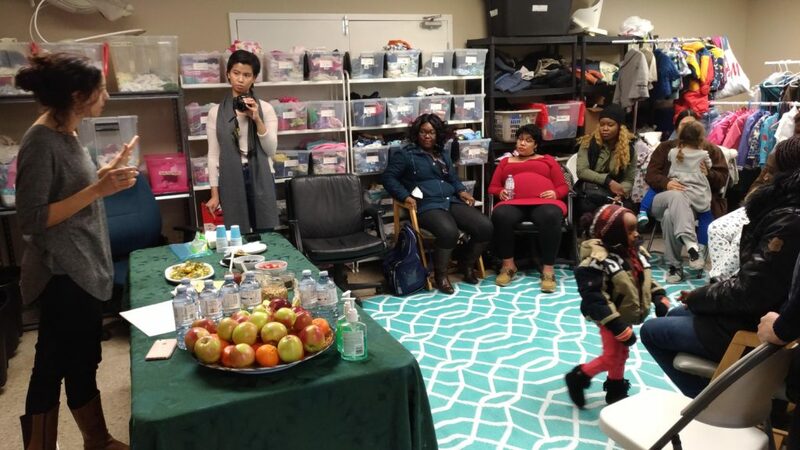 “The breakfast foods were very tasty” – New Mom K.
“I learned a lot” – New Mom J. Why is it important to create a safe sleep environment for your baby? Safe and good sleeping habits are essential to your infant’s overall physical and emotional well-being. A very important factor that helps your baby develop good sleeping habits is the sleep environment, according to Canadian Pediatric Society. This includes the kind of bed, crib or mattress they use and so on. Creating a safe sleep environment for your baby will also reduce the risk of Sudden Infant Death Syndrome (SIDS), in which the baby, one year of age and under, die unexpectedly during sleep. SIDS is actually the number one cause of death for healthy infants at the age of one and under in Canada, but the cause of SIDS remains unknown. However, safe sleep practices can help reduce the risk of SIDS or any other accidental deaths related to sleeping. 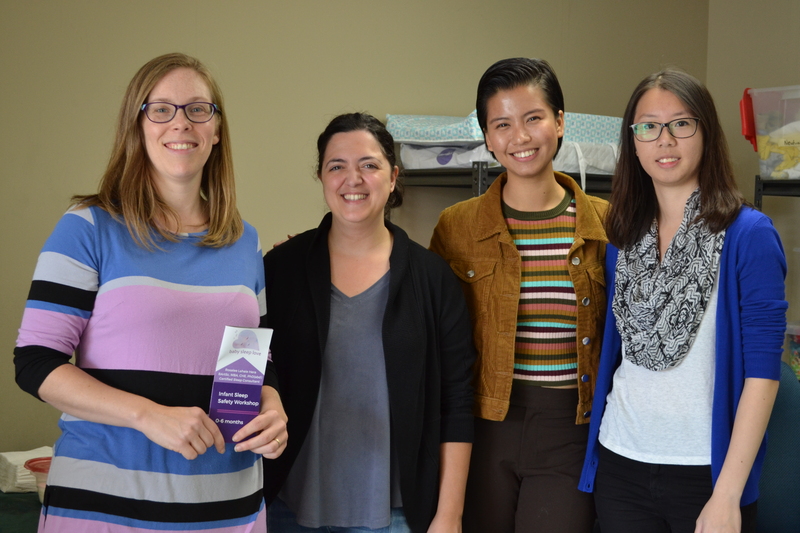 New Mom Project presents the first of the four-part workshop series: Baby Sleep Love – Safe Sleep, where healthy safe sleeping practices were shared to new mothers. Our goal as an organization is to promote health and well-being to the members of our community, particularly to families in need. This workshop has helped parents provide a safe sleep environment for their babies through the tips and the education provided by our guest speaker, Rosalee Lahaie Hera, who is a professional sleep consultant for infants. We were grateful to have Rosalee Lahaie Hera for an informative and helpful seminar held in October 19, 2017. She has shared these tips for a healthy and safe sleep for your baby. • Practice safe “on the go” naps – chin always off chest, never sleeping in an inclined position. • Car seat sleeping is safe ONLY while seat is properly installed in car or travel/stroller system. • Supervising unsafe sleep DOES NOT make it safer. • The best sleep environment for your infant is a dark, cool and calm space. Consider using continuous white noise to calm your baby. • Share the same room with your baby for at least the first six months of life. • For the first year, place your baby on a crib, bassinet, or in the Baby box* next to your bed and ensure that the baby sleeps on their back during their naptime and bedtime, as recommended by the Canadian Paediatric Society. • When the baby can turn over on his/her own, there is no need to force the baby to back-sleep position. • Provide a sleep surface that is firm and flat. • Avoid placing pillows, comforters, blankets, stuffed animals, quilts, bumper pads, positional devices or other loose soft bedding materials that could suffocate or strangle a baby. • Ensure the room temperature is comfortable for the baby and dress your baby in a comfortable fitted one-piece sleepwear, so the baby would not need a blanket. • Baby seats, swings, car seats, bouncers, strollers, slings, and playpens are not safe substitutes for a crib or bassinet. “Thank you so much for making me take part in this workshop, I really learned a lot!” –New mom S.
“Very educative!” –New mom O. “It was a good and educational experience! There were many things I didn’t know about safe sleeping and I learned so much today!” –New mom A. Creating a safe sleep environment for your baby. (2004). Paediatrics & Child Health, 9(9), 665–666.